You have more free time than you think: on the train going downtown, in that endlessly long lunch line, waiting for your always-late friends. Sounding familiar? These moments seem to happen almost every day. Since you are most likely using your phone during these interludes from reality, wouldn’t it be better for your brain to be doing something rather than kill pigs with angry birds? You could be utilizing your phone, and your time, better! Their TV commercial features people describing how Luminosity enhances their smarts just by playing games. The app addresses a range of options for brain boosting: flexibility, avoiding distractions, increasing work productivity, and being able to multitask better. Lumosity is based on the principle of neuroplasticity, meaning your brain is a dynamic organ that can be trained at any stage in one's life. It’s a dynamic organ that changes throughout our developmental stages. While pumping up your cranium, the app keeps track of your progress and displays your improvement; that in itself makes the app pretty motivating. 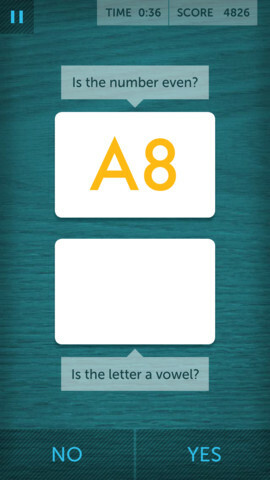 You can also have the app remind you on certain days at certain times to do your brain training. Just in case you, umm, forget. Before our assorted high-school memories completely recede into the rear-view mirrors of life, we must pay homage to an old adversary. The SAT test. Among the preparatory drills for The Big Test were the daunting vocab lists that consumed many an evening and (I’m told) weekends. There was method – and value – in that madness. So rejoice, because it’s baaaack! The SAT vocabulary flash cards you may have used have been replaced in this app with nine colorful and engaging games to help you (re)learn those definitions and expand your command of the King’s English. Tedium-busting options include: an enhanced review mode so you can focus on current or mastered lessons to keep you motivated towards your polysyllabic elocution pursuits. For those of you cheering the addition of TEDTalks to Netflix, there is an app to give you greater (and freer!) access to the beloved talks by those remarkable people. For those of you unfamiliar with TEDTalks, it’s a video series of lectures given by fascinating people who are major movers and shakers in their respective fields. The presenters include young entrepreneurs, scientists, CEOs, artists of all sorts, teachers, and plenty of doctorates. Watching these videos is a great passive way to increase your span of knowledge in an engaging and congenial way. TEDTalks are great not only because of the wide range of topics covered, but because the speakers present the content interestingly visually as well as in the structure of the presentation itself, they go way beyond your basic lectures at colleges or conferences. Beyond the presentations themselves, the palpable passion from the speakers is one of the main reasons you actually absorb what they're saying while simultaneously enjoying yourself. Learning a second language is a great way to build up your brain. In today’s increasingly globalized world, it is also a growing necessity (much of the civilized world speaks two languages or more -- except America. How uncivilized!). Duolingo allows you to learn a second language for free (much cheaper than alternatives like Rosetta Stone), no classes necessary. The integration of fun is what makes this app so successful. You level up by giving consecutive correct answers which earns you points that put you ahead of friends, adding some friendly competition to the mix. Pictures and audio accompany the vocabulary memorization exercises to make learning easier and the sentence translation exercises are facilitated by a bank of word options. You'll be speaking like a native in no time. 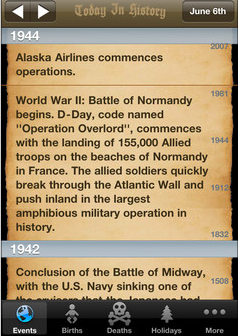 An app for the history buff, trivia lover, and knowledge seeker, the title of this app says it all. Select any date in history and scroll through the major events over the years. Choose from categories such as births, events, deaths, and holidays to see many date-related articles. If you want to add your own event, it's easy, then subsequently share it via Facebook and Twitter. Whether your job requires you to be able to do fast mental math or whether you’d just like to improve your cranial-computing capabilities, this app will help you become as fast as a calculator. 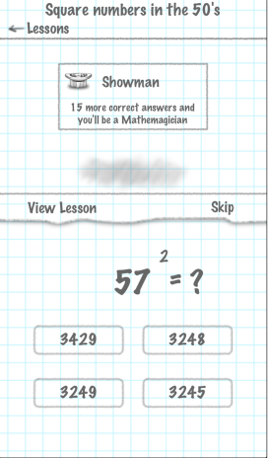 You study the math tricks plainly written out on a graph paper background and then practice them as you progress through various levels of skill. When you have finished a lesson and master the practice, a check appears next to that lesson. As you increase your ranks your title changes, until you finally reach the summit: a Mathemagician. Divide and conquer! It all adds up as you multiply your skills. 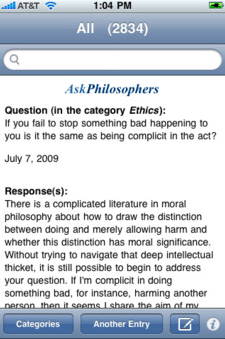 Not to be confused with the TV “doctor” or the Punxsutawney prognosticator, this is the “phil” in philosophy! 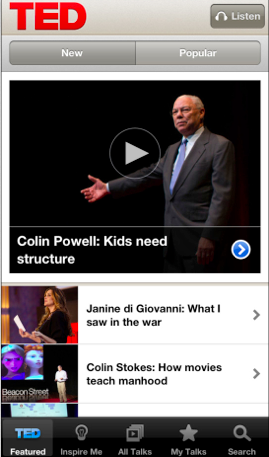 The app provides users the chance to “listen in” on profound discussions taking place on a wide range of topics. Select from categories like education, art, beauty or parenting, and then become steeped in the ideologies, notions, and theories, of these eloquent expressions. Not sure what to ponder next? 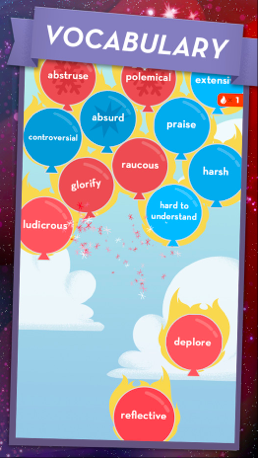 To whet your philosophical whistle, the app will make random selections for you. Just shake your iPhone to display the next post and connect with the great minds of the universe. What is truth? Great news! You can find out for free. 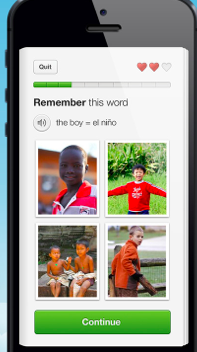 This app is simple because the goal is simple - expand your geographical knowledge. 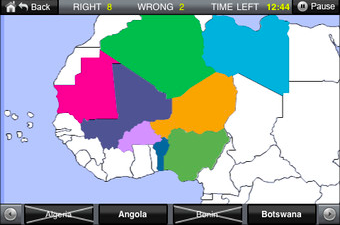 Pick one of the seven continents and use “learning mode” to become familiar with the borders and other features. The pressure is definitely off in this mode because the app indicates country names as you hover over them with your finger. Once you think you’ve gotten the hang of a certain continent and are ready to test your knowledge, enter “challenge mode” where you're up against the clock. And, not insignificantly, the rest of the World Geography Challenge players across the globe! This is a great way to pass those small pockets of time while passively pumping up your knowledge. With a tap of your finger you'll learn a wide-range of fascinating facts that are, true to its name, very cool. 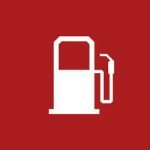 For instance: Did you know that one cup of gasoline has the power of five sticks of dynamite? With a swipe of a finger you can flip from fact to fact. 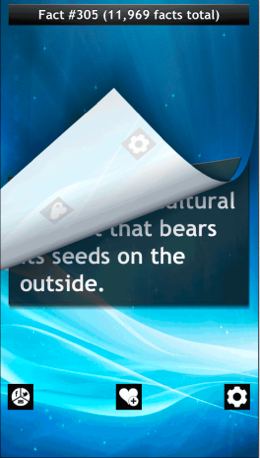 You can also turn the page by shaking the iPhone. Compile a “favorites” list and easily publish them to Facebook or Twitter. If you doubt any of these fact – and apparently someone did – the app had a recent update that lets you easily verify every one of them. Can you name the puzzle with but one possible correct answer and 43,000,000,000,000,000,000 wrong ones? 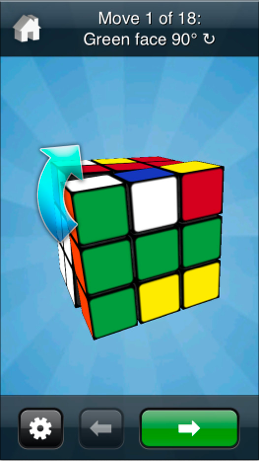 Invented in 1975, Rubik’s Cube came to market several years later and has since become the world's top-selling game. Everybody’s favorite play-anywhere plastic toy, can now tease the brain of anyone who owns a smartphone. Adding variety to spice up this game, in addition to the classic 3x3x3 Cube, there are four different sizes, a timed mode, free play, 24 different game styles, CRAZY Cube and the custom-picture cube. If you own 3D glasses, put your cube into 3D mode for a depth-defying gaming experience. It will blow whatever is left of your mind.